Personalized Sunblock Spray Custom Printed in Bulk or Blank. Promotional, Inexpensive. Budget Prices in the USA and Canada. Wholesale advertising pocket Sunblock Spray on sale. Lowest cost in North America. Free Artwork Design. American Clients pay no taxes. 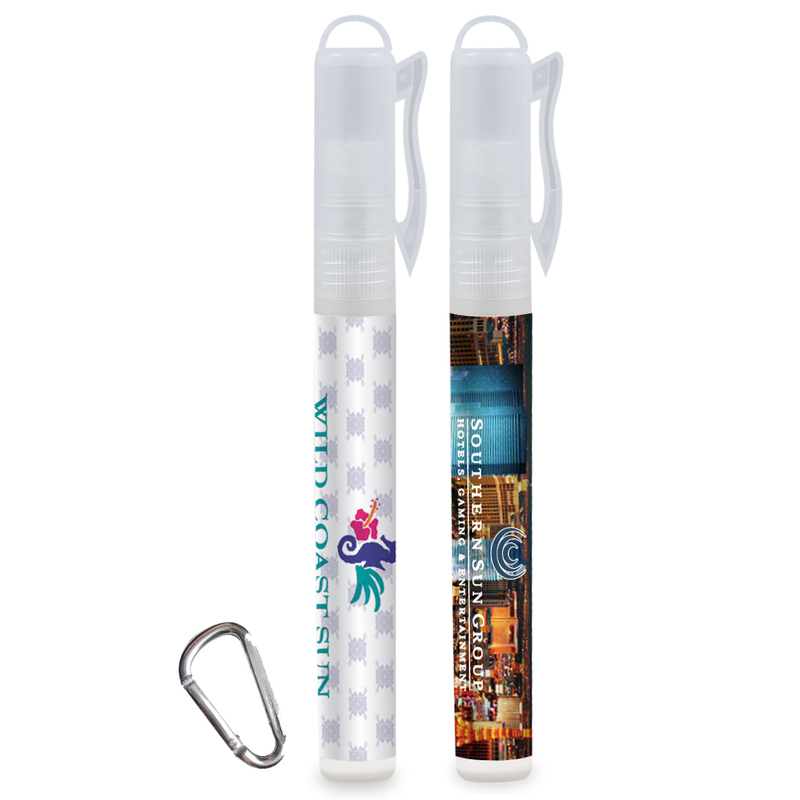 The unit prices below include you full color custom imprint, or they are for blank (not personalized) Sunblock Sprays. PRODUCTION TIME: 3-5 working days after art approval; Rush production of 1-2 days is available: add 35% for 1-day rush; $0.30% for 2-day rush. Blank (not personalized) Sunblock Spray ship next day. Shield your skin from harmful sun rays with this SPF 30 sunblock spray. This tropical scented spray holds 0.33 oz. / 10 ml of sunblock. Approved by the FDA, this sunblock is easy to apply and leaves a clean non-greasy feel for a fun day in the sun! 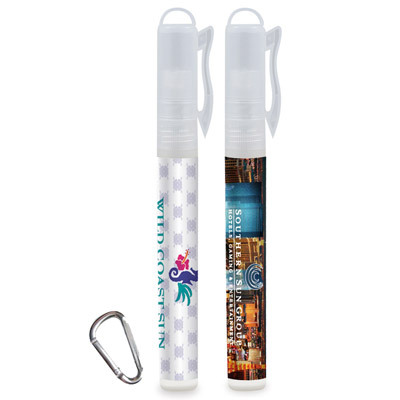 Great for any outdoor event such as golf course, picnic, or a day at the beach.